Todd Astle and James Neesham have been recalled to the BLACKCAPS ODI squad, after proving their fitness in the Burger King Super Smash. Neesham will replace fellow all-rounder Doug Bracewell, while Astle comes in for Ish Sodhi as the leg-spinner for the final two ODIs against India. Neesham played in the three-game ODI series against Sri Lanka earlier this month before missing the one-off T20 International with a grade-one hamstring strain. Astle was included in the ODI squad to play Pakistan in November, but was ruled out of the tour before the first match with a knee injury. Selector Gavin Larsen said the selections were in line with the campaign plan as they aim to give opportunities to different players. “Doug and Ish have been two of the brighter spots of the ODI series so far and we’ve been encouraged by their performances against a quality Indian side. “It’s great to welcome back the all-round skills of Jimmy and Todd and we’re looking forward to seeing what they can bring to the series. 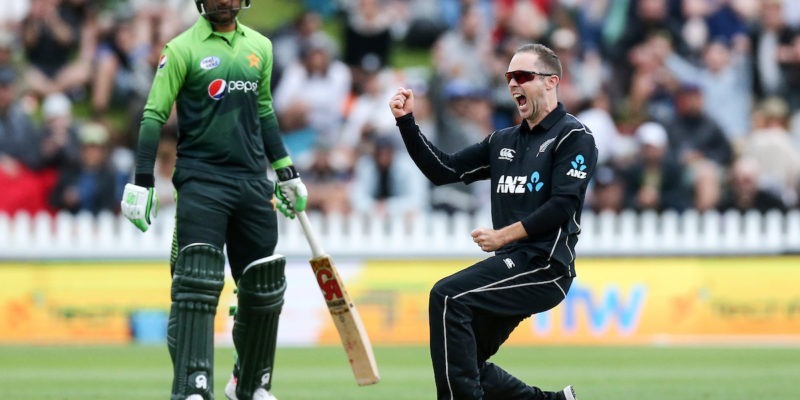 Bracewell and Sodhi will be available to play for the Central Stags and Knights respectively in the upcoming rounds of the Burger King Super Smash.